Glenn reflected. Asked about his most vivid memories, Glenn doesn’t hesitate. The killing of fellow human beings in the name of democracy. I was brainwashed to think of the Japanese as sub-human monkey runts. At the time that I served I totally believed in the mission to obliterate the Japs.” Over 109,000 Japanese soldiers were killed at Okinawa, and 12,000 American lives were lost. As fate would have it, Glenn’s next mission after Okinawa would not be to kill Japanese soldiers, but to help them. After Japan’s surrender following the dropping of two atomic bombs by the US, Glenn was sent to North Korea to repatriate the occupying Japanese soldiers back to Japan. I had the fortunate experience during the time I was in Korea, getting to know the Japanese as fellow human beings rather than the enemy. 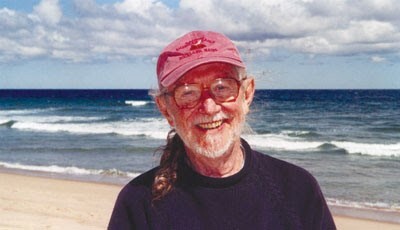 In the matter of a few weeks I went from killing the Japs on Okinawa to collaborating with them in Korea, and I was able to see them as fellow human beings and develop some friendships, and I’ve written about that transition from killing to collaborating in my book.” Glenn began what would eventually become The Hawk and the Dove back in the 1985. Following a major heart attack, a friend suggested I start writing stories about my life. I got up very early and just wrote whatever came into my head, stuck it in a file folder and stuck it away. In 1995, we had the fiftieth anniversary of the end of the Second World War, and I realized I had written a number of stories about my life in the 1940s. I pulled those stories together into a manuscript and that ‘s how the book got started.” As his narrative progressed, the scope of Glenn’s story expanded beyond the 1940s. The onset of the Middle East wars brought to my attention that I was writing about my own recovery from the massive killing I experienced on Okinawa. As we saw the thousands of personnel returning from the Middle East wars returning with post-traumatic stress disorder (PTSD), my publisher and I began to see that I had written a story about my own recovery from the traumas of combat,” Glenn explained. There’s nothing in our training that prepares us for the taking of another human life, or observing that happening. I was trained to kill, and that’s exactly what I did on Okinawa Island. One of my major concerns right now is all the veterans returning with the same condition (PTSD). This has got to be one of the biggest stories to come out of the Middle East wars. These veterans will require medical and psychological care for the remainder of their lives.” Asked what he hopes readers will take away from his book, the retired educator stresses I do not think that wars solve problems. I strongly believe that stronger diplomatic efforts should be undertaken to resolve international problems. I’m hoping that youth who are considering careers in the military will have the opportunity to read my book. 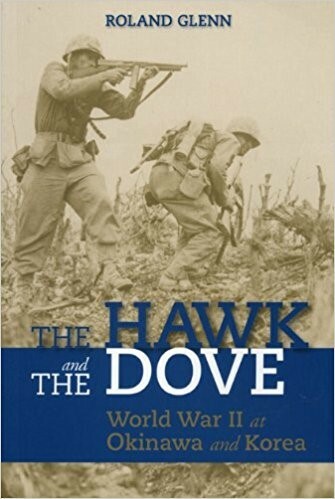 I’m not advocating that young people not have careers in the military, but I am suggesting to our youth that there are many more options to serve our country and our communities than going to war.” The Hawk and the Dove is now available at www.amazon.com, Barnes & Noble, and through orders at local bookstores. This entry was posted on Saturday, November 18th, 2017. You can follow any responses to this entry through the RSS 2.0 feed. You can skip to the end and leave a response.